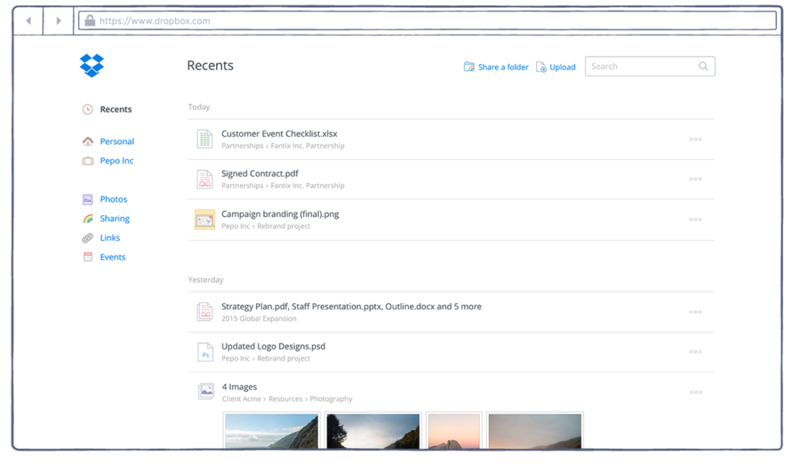 Dropbox is adding a small feature to its Web interface today that will make it a lot easier to find the files you’ve been working on lately: a ‘Recents’ section. Of course, you could previously sort files within a folder by date, but it wasn’t very helpful when trying to amass documents stored in various different folders. Because everything is stored in the cloud, recent files carry over to your mobile devices too; if you’ve been working on a document on your desktop, it will show up in your recent files on your tablet as well. Well, at least it will if you have an iPad. The Recents folder has been available on iOS since May, but Android users are still waiting. Dropbox says it will roll out to them over the ‘next few months.’ That seems pretty long a wait, but better late than never, I suppose. If you’re using a browser to access your files, head on over to dropbox.com/recents to see a list of all the documents you’re been working on lately.